Dang, when did we last talk about video game art...last Wednesday? 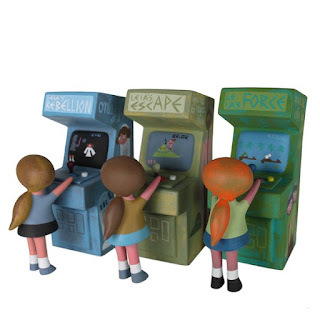 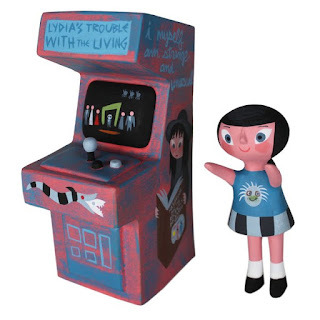 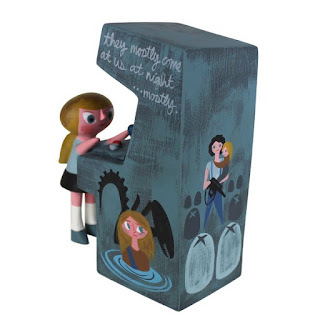 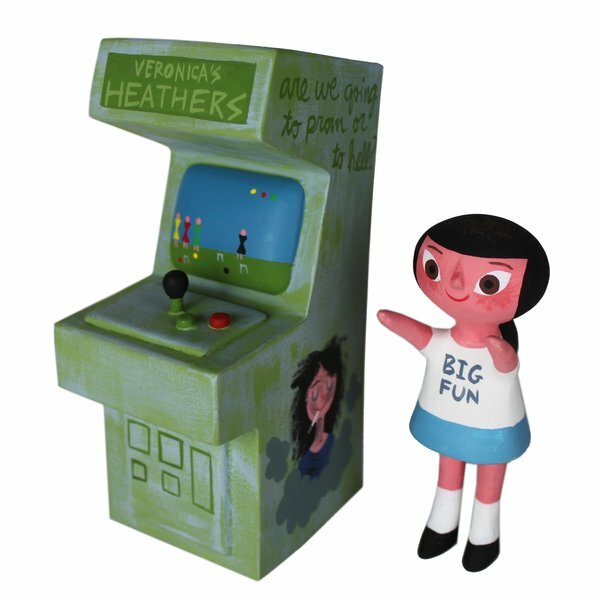 Anyway, one of are favorite child-like wonderment capturing artists, Amanda Visell, put out two arcade machines to put on your desk. “Newt’s Alien Arcade Set” and “Gertie and the Extra Terrestrial Arcade” are $250 each and only five of each have been made?